I hope you all had a wonderful Valentine's weekend! I know we did! No big fancy gifts this year, but a lot of quality time together and it was really wonderful and relaxing.I had a great time creating all the gifts I gave Danny and he seemed to love them all! 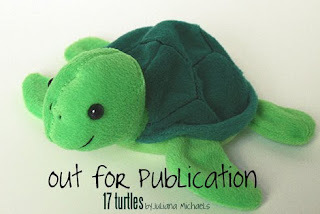 Today on the Bo Bunny blog we are sharing projects created using something recycled or reused. 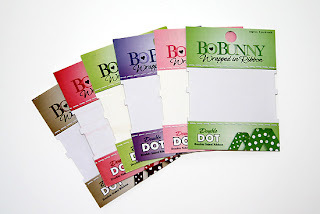 For this project I created a mini album using the packaging from the Bo Bunny Double Dot ribbon. I covered each card with patterned paper. I added a strip of striped paper and a punched border to each page to give it some continuity. I then decorated it with rubon's and cut outs from the patterned paper. I went with a "Top Ten" theme and actually created this as a gift for Danny for Valentines day. Throughout the mini I shared ten things I love about him! Here is a close up of the flower on the front cover. I created it using a scallop circle punch. I punched out 6 scallop circles, inked the edges and then accordion folded them. I adhered all of them on top of a punched out circle, hot glued a button in the center and then added the smaller flower and gem. It is rather bulky, but I love all the dimension! Happy Monday to all of you and thanks for stopping by! On Tuesday I will have my February reveal up at ACOT. I hope you will stop by to check it out! So sweet Juliana! Love the Love Bandit Line. Incredible mini! Way to go on the pj pants! I love your little book Juliana! And good for you for sewing - I used to do that all the time but ha, have given it up for SBing. 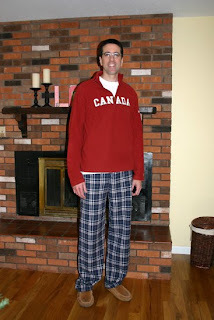 My hubby was always glad to get a pair of PJ pants long enough too, but he is not near as tall as Danny! I did not realize how tall he was. I'm IN LOVE with that mini. Reused packaging...border punched edges...a big CHUNKY flower... YUM! Super sweet idea! Love the mini! I get most of my chipboard from cereal boxes. Great job on the pjs. I love that sewing allows you to alter for those of us that are not one-size-fits-all.